A great news for the whole ColecoVision community! CollectorVision found & preserved another unreleased game! 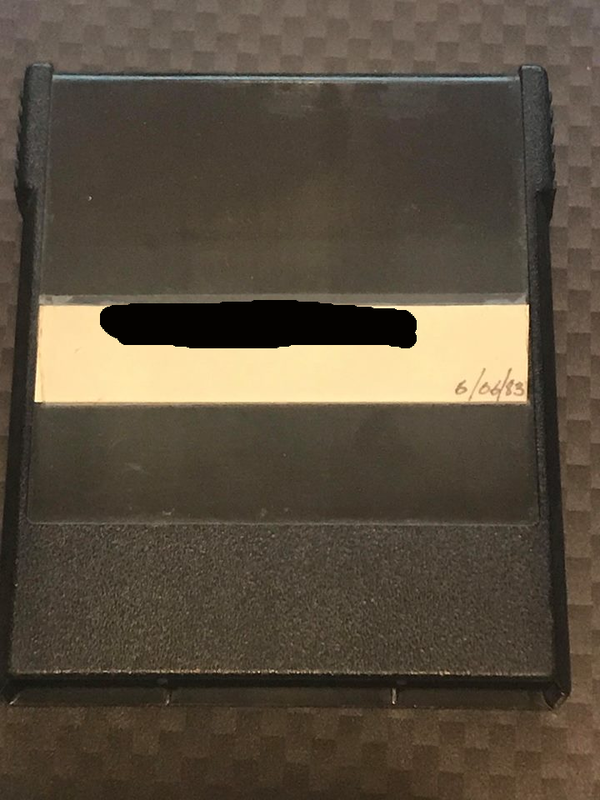 This game has NEVER been dumped before and this is the only cartridge in existence! We're going to post more informations about this awesome find, soon! Wow - this is just incredible news J-F. Well done to all involved!!!!! Looking at the date on the cart this isn't even one that was produced near end of the CVs life but somewhere in the middle. Will be interesting to know why it was never released. Great news. With a preordered Phoenix, my interest in the Colecovision is higher than its ever been so this is fantastic. Edited by AtariLeaf, Tue Jan 29, 2019 7:38 PM. In fact, it is quite the opposite! I think I have a solid guess and it would be too too purfect. Master Of The Universe ? I thought this game has been already preserved , no? Edited by retroillucid, Wed Jan 30, 2019 2:51 AM. Could be Boulder and Bombs? or Domino Man? Please say it's Tunnels And Trolls! I already know it's not Tunnels And Trolls. How about Papa Smurf's Treasure Hunt? That obscure enough? Edited by Ikrananka, Wed Jan 30, 2019 3:45 PM. Edited by retroillucid, Wed Jan 30, 2019 3:51 PM. You did not say that it is not what i have proposed.... does it mean i'm right? Edited by youki, Wed Jan 30, 2019 3:54 PM. There's something called "005" on here. That seems pretty obscure. My guess is.... The Adventures of Pitfall Hairy 2: Hair Today Gone Tomorrow.